High end 100% neoprene Get Salty Koozie. Pink neoprene with white screen printed design and white stitching. “Aloha, from Hawaii” adorns the back. No junky foam koozies here; these will last years! 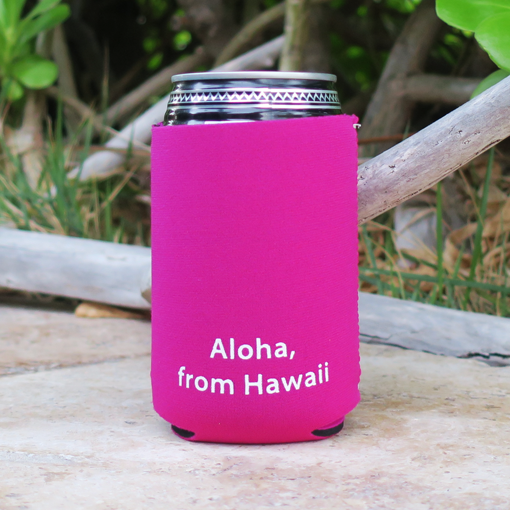 Great gift for salty friends or keep a set or two on hand for bbq’s and picnics. 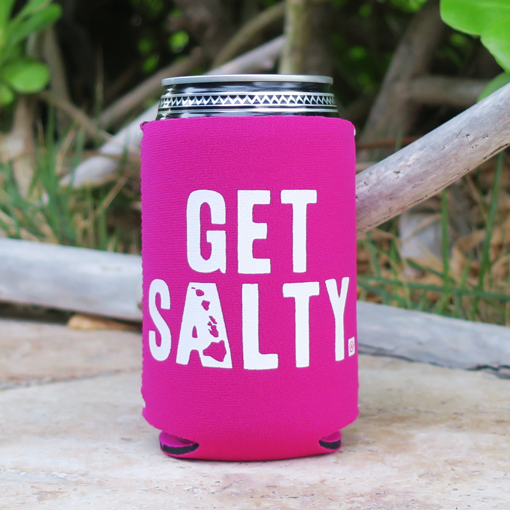 Also check out the Get Salty Koozie Six Pack for a better deal!